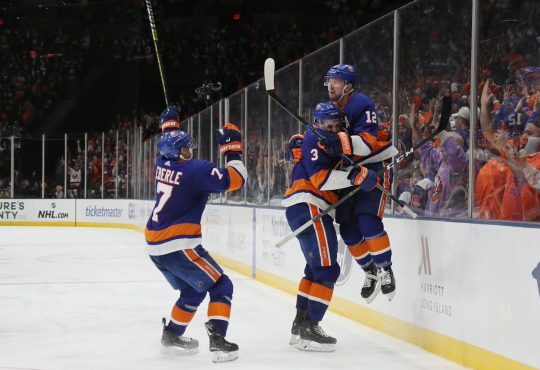 New for this season, Our Rob Taub will give his preview of the week ahead for the New York Islanders. There will be what to watch for, and one x-factor for both the Isles and the opposing team they face that night. We’re officially in November, aka the biggest month of the season when it comes to the past few years for the Isles. This month has become the backdrop to what the fans and critics can expect from the club the rest of the season. Last year, it was the month that saw them trudge to the bottom of the Metropolitan and the Eastern Conference. So far New York is 1-1 this month after losing a heartbreaker in D.C. last Thursday and winning yesterday in a wild game against Colorado. The offense is red-hot right now, led by the teams’ three-headed monster of Tavares, Bailey, and Barzal. 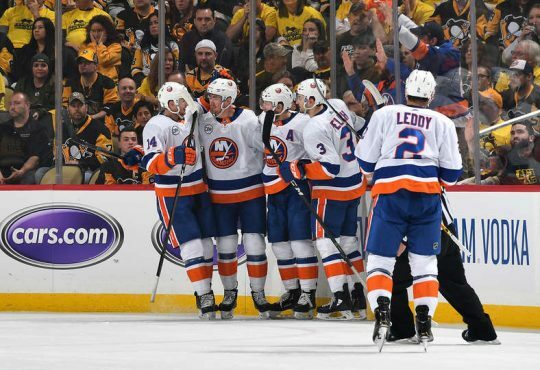 Special teams wise, the Isles are rolling, especially the power play that has all of sudden become a weapon in the clubs’ arsenal. The three contests facing the Islanders this week all revolve around one thing: star power. 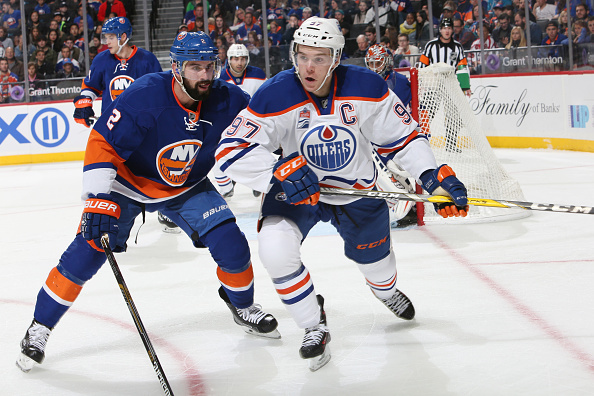 For the first time since being traded from Edmonton to the Isles in late June, Jordan Eberle will face his former team when the Oilers come to Brooklyn tomorrow night. 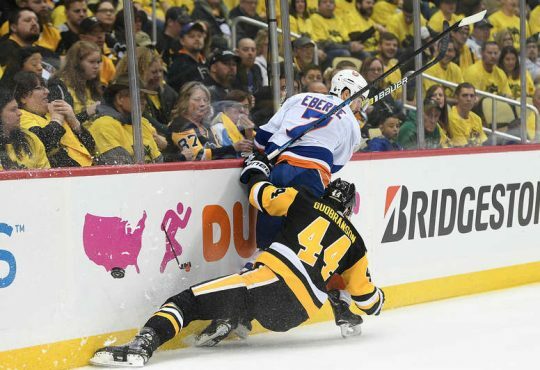 Ryan Strome — the player swapped for Eberle — will face his former club for the first time as well, and I’m sure the Islanders will welcome him back in the best way possible, by trying to beat him. 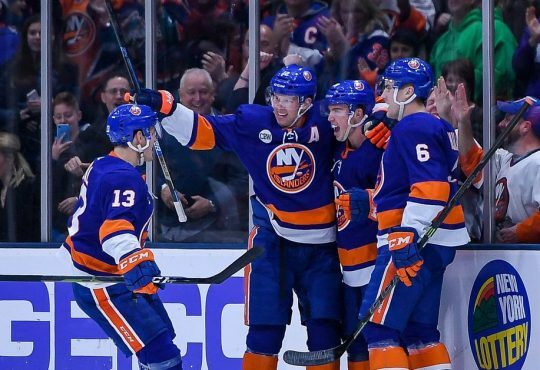 These two teams both were the victor on the road when they met a year ago, the Isles win most memorably known for Josh Ho-Sang recording his first NHL goal. Edmonton has struggled despite having probably the best player in the world in Connor McDavid and a very talented supporting cast, while the Isles have won five of their first six at home, and six of their last eight games. New York is also an unbelievable 25-4-4 against the West since moving to Barclays, so there is always that. Both teams have high-powered offenses, so it could be a long night for the goalies. Matchup to watch: Jordan Eberle against his former team. You know Eberle will be jumping at the bit to get a piece of the team that drafted him and in some ways overlooked him the past few years. The Islanders will travel Southwest when they head to the Lonestar State for the first of a back-to-back against the Stars later this week. This will be the third back-to-back so far for the Isles this year, where they have gone 2-2. New York swept both games from the Stars in 2016-17 with the most notable win being Doug Weight’s first behind the bench for the Islanders after they fired Jack Capuano. Dallas went through changes in the offseason hiring Ken Hitchcock as head coach, bringing in Ben Bishop and Alex Radulov, and right now they are one of the better clubs in the West. Doug Weight’s crew has begun to find their game on the road after struggling in October, but they’re in for a big challenge with the Stars playing really well on home ice since the beginning of the season. Looking back at the past few years when these two teams meet, one thing is certain: expect not a lot of defense and a ton of goals. Matchup to watch: Jamie Benn and Tyler Seguin against John Tavares and Josh Bailey. These four guys alone are all dominating the league right now, and each duo is deadly. For the second half of their back-to-back, the Isles will take a short trip from Dallas to St. Louis for a showdown Saturday night. The Blues and Islanders already met once this year with the Blues coming away with a 3-2 shootout win on Columbus Day. Jake Allen was lights out in that game, while the Isles power play was a shell of itself that day compared to where they are now. St. Louis has played like a powerhouse since the season began, and have been outstanding at home, scoring nearly four of five goals a game at ScottTrade Center. New York will definitely have their hands full, not only from playing 24 hours earlier, but because the Blues average over three goals a game. Matchup to watch: The Blues offense against the Isles young d-men. 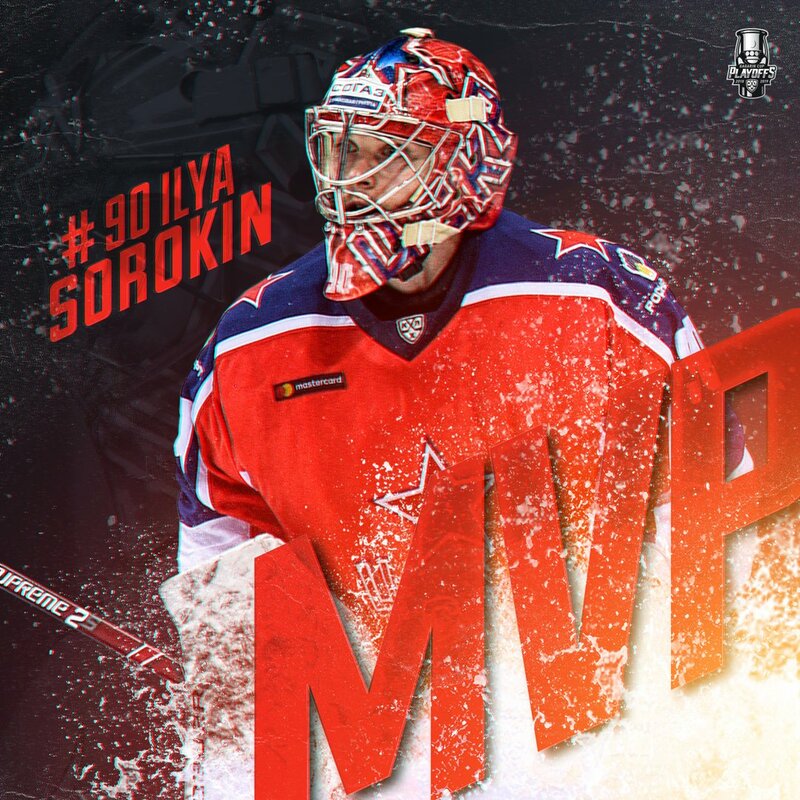 Shutting down Vladimir Tarasenko, Jayden Schwartz, etc. will be be a good test for Ryan Pulock, Scott Mayfield, or Adam Pelech depending on if he plays. The 5 Hole: Tough Defeat in D.C.
Is This Team Finally Ready to Make an Impact?